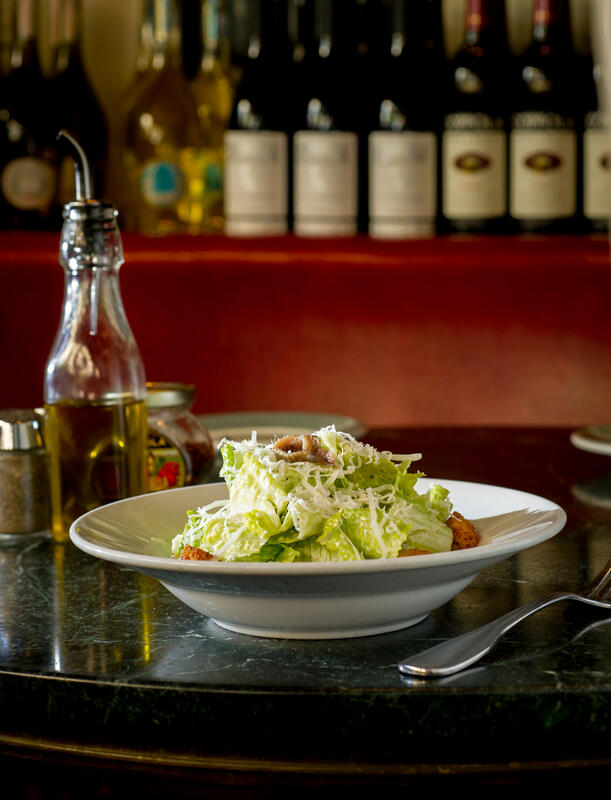 We offer authentic Italian cuisine and a wide selection of Italian and California wines, including premium offerings from Francis Ford Coppola Winery and Virginia Dare Winery. 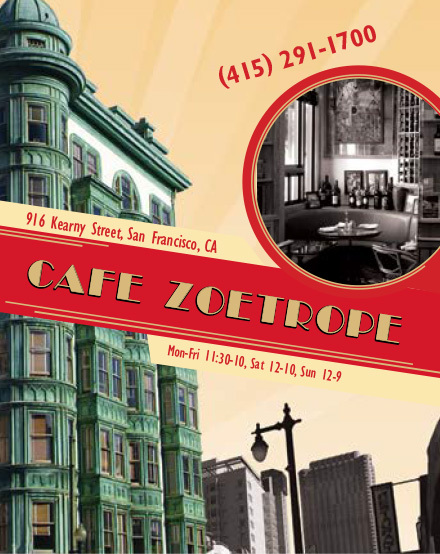 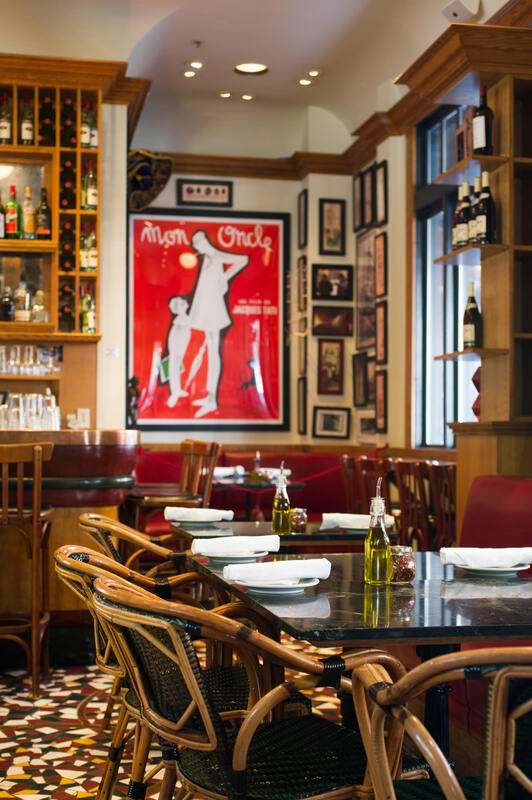 Check out our full menu for the latest offerings while dining at Cafe Zoetrope. 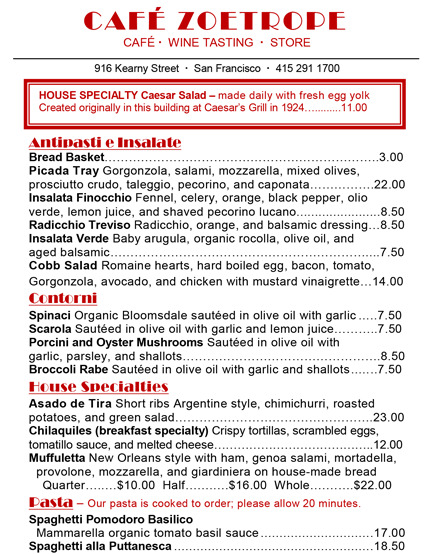 Or call (415)291-1700 to place a pick-up order from our To Go menu. 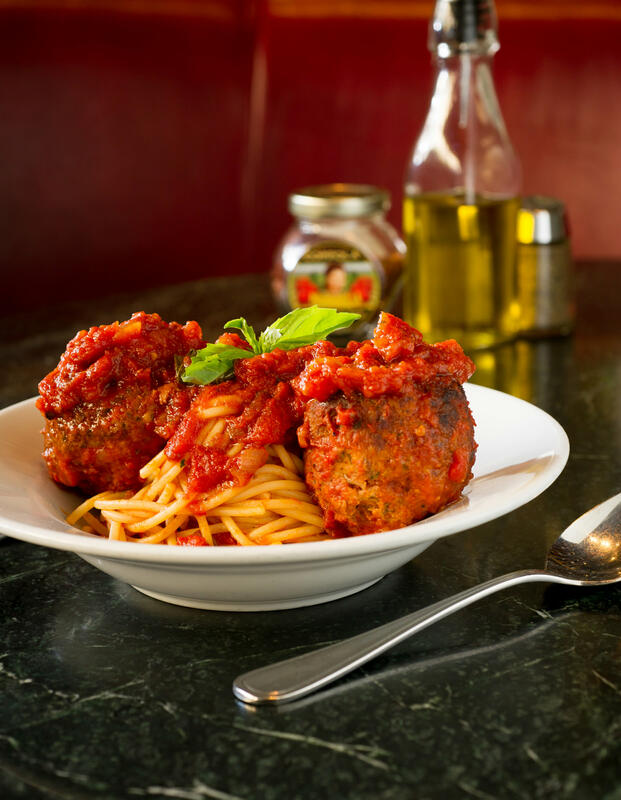 Delivery is currently available via GrubHub.